Baladi, 19, a member of the Greek-Melkite Church, was found dead in the car, riddled with bullets in 1980. A discreet young man full of faith, his life has elicited testimonies of extraordinary phenomena and healings through his intercession. His tomb is in Sarba (Jounieh) in the convent of St Saviour. Beirut (AsiaNews) – Has the recent Synod on Young People and vocational discernment started to bear fruit? Possibly. 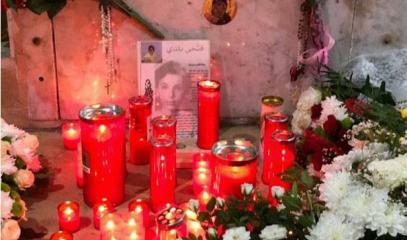 The fact remains that the Pontifical Congregation for the Causes of the Saints, which runs the whole process of beatification and canonisation of the saints in the Vatican, has agreed to start the diocesan process for the beatification of a young Lebanese, Fathi Abboud Baladi who "died a martyr’s death" during Lebanon’s civil war (1975-1990). 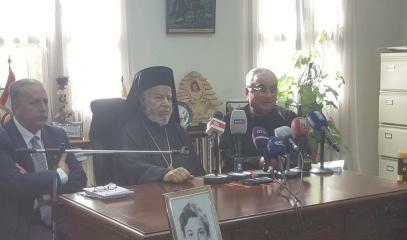 The Greek Catholic Archbishop of Beirut, Archbishop Cyrille Bustros, made the announcement last week at a press conference held at the headquarters of the Archdiocese in Beirut, in the presence of Father Boulos Azzi, a member of the Lebanese Maronite Order (OLM) who will be the postulator of the cause. Born on 22 September 1961 in Beirut, enrolled at Alba, one of Lebanon’s foremost schools of fine arts, in the first year of architecture, Fathi Baladi was found dead in Araya (east of Beirut), at the wheel of his car on 31 December 1980, outside the home of a university classmate where he used to go to study. He had been shot several times at close range in the head and chest. The murder remains unsolved. He is buried in the family vault in the Greek-Catholic convent of the Holy Saviour, in Sarba (Jounieh). If a cause of beatification is starting, it is because after his death, various signs suggest that, despite his violent death, he died saintly. A few years after his death, in 1983, a book of documented testimonies was published, attesting to the faith and virtues of a discreet but fervent believer. The war prevented the Synod of the Melkite Church from taking place; it was expected to endorse efforts to document the young man's life of holiness and complete his work. 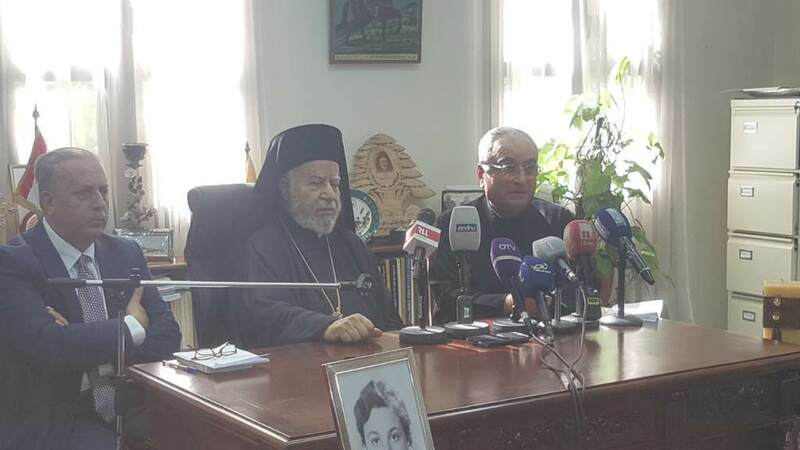 Encouraged by continuous reports about graces obtained through the intercession of Fathi Baladi, Bishop Bustros finally decided to restart the process based on credible evidence. Father Boulos Azzi, who took charge of the case at the diocesan level, is a great Maronite specialist of these procedures and has already successfully completed the causes of many other Lebanese saints and blessed. "By his martyrdom, Fathi Baladi is a servant of God," he said at the press conference. “Dead as martyrs during the war, our young people have not left us forever. They are not forgotten. 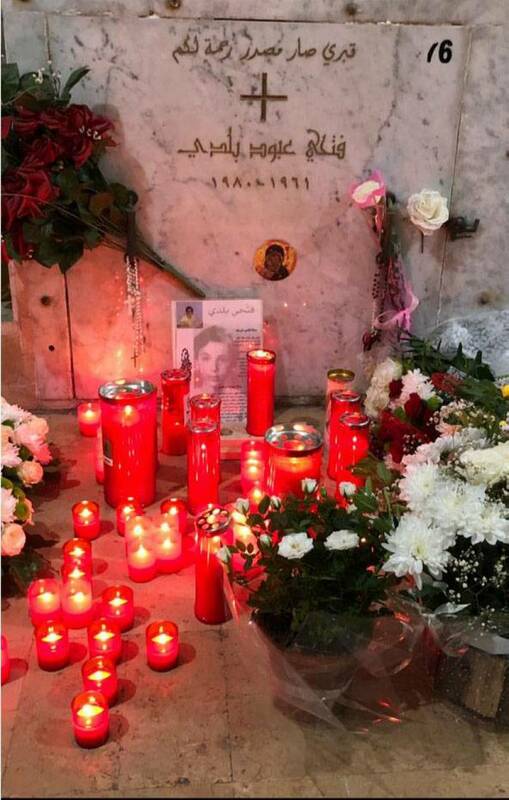 Therefore, Fathi Baladi is a sign for all young people who gave their life during the Lebanese war, bearing witness to moral and human values ​​and his faith, and confirming it at the same time." Later, Fathi Baladi's sister, Gina, provided information on some of his letters and writings, as well as details about his childhood and his social and academic life. "He was so discreet that it was afterwards that we realised the elevation of his soul, and tried to know him better, especially through some of the texts he left, and testimonies of some of his comrades," she said. In essence, it seems that in the weeks after his sudden death, his relatives received "signs" in the form of unusual phenomena. His mother has testified that his wounds still oozed the day after the tragedy. "Dad, Dad," his father heard him call out a few weeks after the death. His sister and her husband also heard him call them. "It is as if Fathi hadn’t died," his mother said to explain the feeling of peace and self-assurance that invaded his family members. Over the months, the "signs" increased, according to witnesses. Delectable fragrances of incense, unusual lights, oozing oil, inner words, healings. In the 1980s, the sincerity of these testimonies encouraged the then Greek-Melkite Catholic Patriarch Maximos V Hakim and the Archbishop of Beirut, Mgr Habib Bacha, both now deceased, to consider starting the cause of beatification. Documents attesting to healings attributed to Fathi Baladi’s intercession now form a voluminous file. For example, a housewife, Josephine Louis Merhi, said that she was healed of a duodenal ulcer on 3 January 1982. She claims to have seen Fathi enter her room, approach her and slip between the dresser and the bed. He put his hand on her abdomen and said, "Get up to serve your family, you are healed.” Ms Merhi was supposed to have her ulcer operated the next day. Her healing was total and instantaneous. In Fathi's family, Fadia Saadé was also cured of scleroderma, an incurable disease that she had for 13 years. Her recovery in the 1980s came after a visit to Fathi's vault. She is still, today, in excellent health. Every Wednesday, a votive Mass is celebrated in the morning in the Church of the Holy Saviour, not far from the vault of the young martyr.